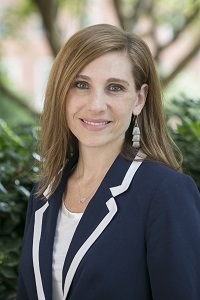 Rachel Copeland began her social work career in Birmingham, Ala., working with children and adolescents in the foster care system, and eventually working in child advocacy and outpatient counseling. After practicing clinical social work for eight years, she moved to New York City to pursue her doctorate from NYU, where she taught as an adjunct instructor for four years. During her time in New York, Copeland was also the Director of Forensic and Clinical Services at the Manhattan Child Advocacy Center and served as a research therapist and supervisor for an NIMH-funded intervention study through the Cancer Institute of New Jersey. Her dissertation examined experiences of adolescent pregnancy amongst poor women in Costa Rica. She has over 13 years of experience as a clinical social worker, specializing in treating a variety of problems, including trauma, attachment, anxiety, and conflict in marriages and families. In her free time, she enjoys yoga, knitting, cooking, reading crime novels, and spending time with her husband. Goldín, L. Copeland, R., and Padilla, D. (2015). Behind Maya Doors: Gender, Violence, Acceptance, and Resistance in Highland Guatemala. Gendered Perspectives in International Development, 306. Copeland, R.C. (2015, August). Examining Lives of Adolescent Mothers in Social and Economic Context: Poor Women’s Experiences and Options after an Unintended Pregnancy in Costa Rica. Presentation at Alabama Department of Public Health, Office of Women’s Health 8th Annual Women’s Health Update, Birmingham, AL. Copeland, R.C. (2015, March). Understanding Developmental Issues and Challenges in Child Forensic Interviewing. Presentation at the NY City Law Department, Office of the Corporation Counsel, Special Victim’s Unit, New York, NY. Copeland, R.C. (2014, October). The Effects of Intimate Partner Violence on Babies and Young Children. Presentation at the Bronx Family Court for the Domestic Violence Awareness Month Training Series, Bronx, NY.